What is the Eisenhower Matrix? 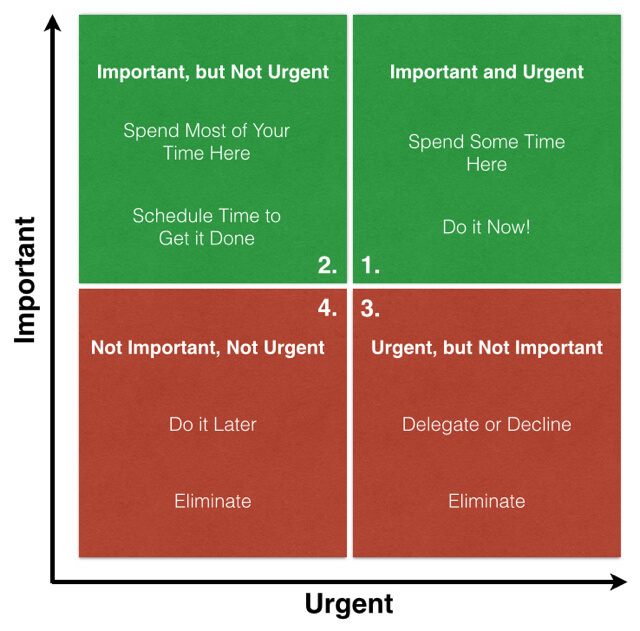 The Eisenhower Matrix is a business management and strategic planning productivity tool that helps to sort tasks and spread them reasonably over time. The sort out is based on the principals of urgency and importance. When assigned to each task, those two factors place the task to the relevant quadrant of the matrix. After this routine is done, it’s enough to take a look at the matrix to visually estimate what you should start with.